Specifications Such As Standards, Grades And Finishes. Stainless Steel Forged Tee, carbon steel Forged Tee, Alloy Steel Forged Tee, Aluminum Forged Tee, Titanium Forged Tee supplier. - Type : Barred Tee, Equal Tee, Unequal Tee, Reducing Tee. 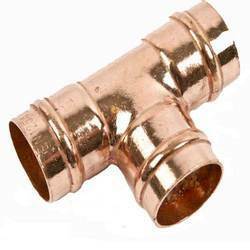 Copper Nickel Forged Tee"are manufactured from wroughtCopper Nickel. Copper Nickel Forged Tees are closed die forges to ensure they have a correct grain flow, high integrity and uniform shape. hot formed on purpose made bending machines or forged in closed dies. Full ranges of fittings from 2" to 6" are available with standard pressure ratings of 5, 000 psi and 10, 000 psi. Our reputed entity is engaged in supplying Cupro Nickel Forged Tee. We are amongst the most reputed names in the industry, offering Copper Nickel Tee. 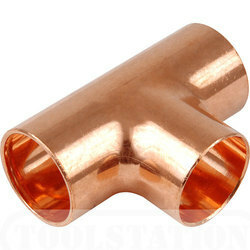 We are a top-notch organization, engaged in providing Copper Nickel Forged Tee.